Come enjoy the beauty of Ozark Mountains at the Southern Missouri Off-Road Ranch (SMORR). Ride the trails on 943 wooded acres, which include rocky hills and streams. Earn your Jeep Trail Badge Of Honor on “Pee Wee’s Crossing” one of the most beautiful and popular trails here at SMORR. Descend into the valley and work your way up the streambed before ascending the climb out on the obstacle that gives its name to this trail, “Guard Rail”. 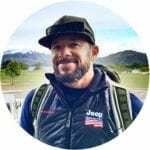 Central heat & air conditioned shower house, grassy campsites for tent camping and 45 RV siteswith electrical hookups make this the ultimate family camping / Jeeping destination. Two very nice cabins on site with additional lodging options are available in Seymour just up the road. Ranch Hand Cafe on site for breakfast, lunch and dinner…complete with dinner bell to let you know when the biscuits are hot. You will see why SMORR was named “#1 2015 Top Off Road Trails in America”. 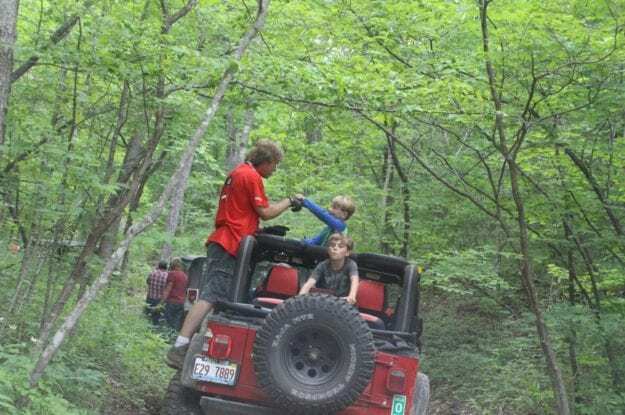 Whether this is your first Jeep Jamboree or you are a Jamboree veteran, you’ll find challenging trails that match your skill level, trail guides to help you along the way and beautiful Ozark scenery. Come enjoy Top Of The Ozarks hospitality.